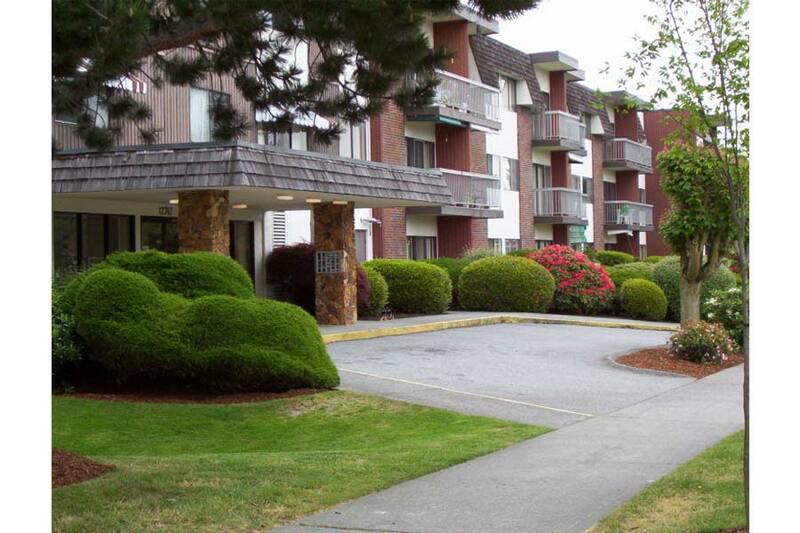 Surrey Gardens Apartments have one bedroom, 600 sq. ft. suites, some with an open concept. Recently renovated, the apartments are bright and welcoming with modern fixtures and contemporary upgrades. Located in a quiet residential neighborhood the exterior of this complex has also been extensively renovated and you'll be proud to call it home. Exterior renovations include all new materials on the vertical surfaces, new windows and balcony restorations. The building interiors have undergone incredible contemporary upgrades while retaining some of the beautiful traditional décor. You can enjoy many amenities including raised gardens for resident's use, a beautifully kept courtyard and grounds plus so much more. A conscientious cleaning staff ensures the building looks its best at all times. Surrey Gardens has been accredited by the R.C.M.P. as a Crime Free Multi-housing community. This is something we take seriously. Please ask us all about it. At Surrey Gardens the suites are freshly painted and carpets and flooring look great. Each unit has a fridge, stove and ceiling fans. Window coverings are included. Recent renovations include new windows and balcony restorations. Surrey Gardens is located in a quiet residential neighbourhood with easy access to North Surrey Recreation Center that includes an indoor swimming pool, arena, weight rooms and more. A Public Library is close by. A variety of retail outlets are nearby and Surrey Mall is not far away with a host of other shopping. Major bus routes pass alongside Surrey Gardens and two Sky Train stations and not far away. Major roadways and three bridges allow easy access to other parts of the lower mainland. We think you'll love this corner of Surrey. We do!